For the Opposition to succeed, it's imperative they come up with a positive agenda rather than launch a negative campaign against the prime minister. At the swearing-in ceremony of HD Kumaraswamy as the chief minister of Karnataka at the steps of the iconic Vidhan Soudha complex (that houses the Karnataka legislative assembly) on May 23, almost the entire spectrum of Opposition leaders in the country was in attendance. With Karnataka Assembly elections throwing up a verdict that succeeded in uniting the Opposition forces, the general elections might become a very even contest. But what are the chances of the Opposition dislodging Narendra Modi? Modi remains BJP's primary vote grabber and is still going strong despite a dip in his popularity. Ever since Modi became the face of the BJP, it has been going strong at the hustings; retaining states that were already in its kitty and wresting states from Congress and others. The Opposition parties seem to have finally woken up to the reality that it's the divisions among them that have helped the BJP to win state after state. 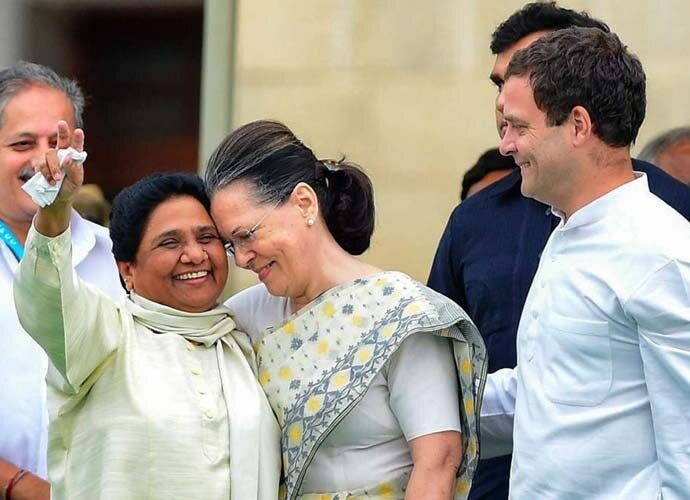 Additionally, many of these Opposition parties might have a secular concern with the majoritarian impulses of the Modi government and incremental attacks on the Constitution and subversion of institutions safeguarding our democracy. But will a joint Opposition be successful in defeating the BJP without a popular backlash against Narendra Modi? And how does this disparate bunch take on the might of Modi without a face? These are questions that have been sought to be papered over with the arithmetic calculation of coalition numbers. Granted, there is still some time to go before the general elections — unless Modi decides to prepone it to the winter — but there are still many unanswered questions. The general public was not swayed by Opposition unity against Indira Gandhi in 1971, when the Congress (Organisation) got together with all the Opposition parties then (from the Socialists to the Swatantra Party to the Lok Dal to Jan Sangh) to try and defeat her. But Indira Gandhi was defeated by the same group post the Emergency and its excesses. As for Rajiv Gandhi, he swept to power on the back of 404 seats in 1984 but lost five years later when the entire Opposition united on the plank of corruption. The million dollar question: What is the plank on which the Opposition parties unite against Narendra Modi's BJP for 2019? Is it going to be on the lines of "protect the Constitution" or "save democracy" etc? If so, it is simply not going to work even if the arithmetic were to favour the Opposition. The reason is that unlike Indira Gandhi and her subversion of institutions in the run-up to and during the period of Emergency, Narendra Modi has been very clever with the way he has gone about centralising power and chipping away at the pillars of democracy. The process is not overt and hardly impacts the public in a way that they wake up to the dangers of it. It is like boiling a frog alive as people will wake up to it only when the tentacles of the octopus begin to choke their throat at a much later stage. The common man is more interested in how a government impacts his day-to-day life, inflation, wages, and living standards etc. Moreover, people like a positive agenda and like hearing good things about their country and its future. In 2014, anger against perceived corruption and inflation was so strong that the BJP tapped into it, but let's also not forget that the mandate was won on the plank of "vikas" and "achhe din". So, a negative campaign against Modi will not be enough even if the arithmetic favours the Opposition. Of course, Modi's failures can be enumerated and his non-fulfilment of promises can be audited — but would that be enough to turn the tide against the prime minister? There is another reason why a joint opposition on an anti-Modi plank may not work or come short. Many of these parties have not been successful in mobilising the anger among sections of people against the BJP government and channelising it to win elections. For instance, why is nobody taking up the issues of farmers and their compensation and Modi's hoodwinking of them after promising them a fair compensation? Even if any such issue is taken up, it is hardly ever sustained and keeps getting relegated to the margins. Congress has to take the biggest share of the blame on this front. But then, Congress as an organisation is hardly present on the ground even in states where they are the primary Opposition to the BJP. It's very different in BJP's case as they have radicalised youth (and the not so young) fed on anti-minority propaganda getting coached in their shakhas. When BJP supplements this breeding of hate with doses of nationalism, it looks like an attractive proposition and cause to the jobless youth in India's villages and small towns. The ground-level cadre, who cannot see reason nor think rationally, is the biggest asset of the BJP going forward. How would some of these rump parties without booth-level workers and boots on the ground take on the organisational might of the BJP? How will parties like Congress reach out to the people beyond social media and huge rallies? For the joint Opposition to succeed in dislodging BJP, it's imperative that they come up with a positive agenda for the nation rather than convert it into a wholly negative campaign against Modi. They must then channelise these efforts into action on the ground in states where there is some level of disenchantment against BJP and Modi. Relying purely on the numbers might only lead to a counter-consolidation and make Narendra Modi stronger. There is nobody more adept at playing victim than Modi and he might be able to do that successfully once again and comeback stronger in 2019. If the Opposition wants to prevent that from happening, they will have to go back to the drawing board and prepare a host of strategies and run a positive campaign for the aspirational Indian. Beyond emphasising the failures of the current regime, they would have to sell dreams to complement their impressive numbers - only then they have a shot at winning 2019.